Large, bright and clean 2 bedroom apartment available. Great central location on bus route @ 5th & Ewert St. Easy access to shopping and downtown. Small, quiet, adult building with long term tenants. 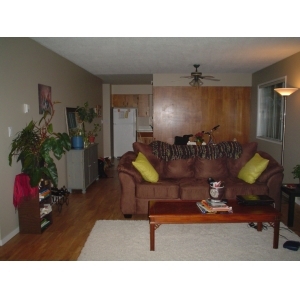 Large west facing balcony, large kitchen with full size appliances. Laundry facilities on site. No pets, non smoking, references required. $750 per month. Hydro and cable not included in rent. Call 250-562-5871 to view.